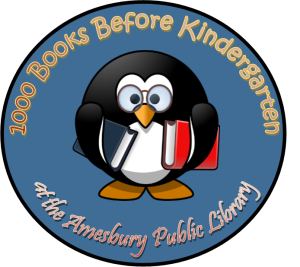 1000 Books Before Kindergarten is a national program that is intended to promote reading together with your child. The more words and books a child is exposed to in their early years, the more likely they are to love reading and be more able to do it well! Our program is pretty easy. Sign up online (REGISTRATION LINK) or come into the Library. You can then pick up a packet in the Children’s Room or download the app (free in your app store). Read! You just have to keep track of how many books, not the titles (although you can if you’d like). If you read the same book again and again, it counts each time you read it! Each time you reach 100 books come in to turn in your form and get another or just show us your app. For every 100 books you read together, you’ll get a little bag of Mega-Bloks so you can build up a collection! You’ll also get to put your name on our counting wall! 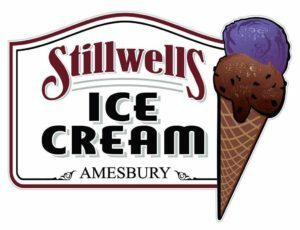 A few mile stones: at 500 books you get a coupon to Stillwells Ice Cream and then at 1000 books you get another awesome community coupon for a Flatbread Pizza! That’s it! Well, except that you and your child will have cuddle time and be building literacy skills and learning new things…. How can I get to 1000 books!?! If you read just one book a day, you will reach 1000 in less than 3 years! Any time! You can start when your child is just born or you can start when your child is four years old. You can start any month or at any time of year. Just come in and ask us! Thank you for funding and donations!